2 Bedroom Flat For Sale in Surrey for Asking Price £650,000. 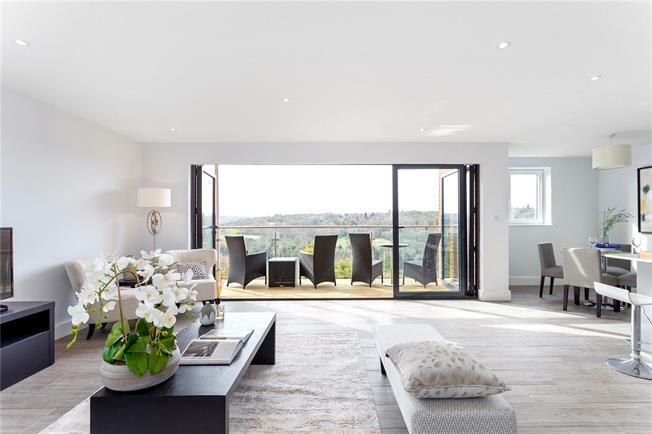 A truly stunning collection of apartments with far reaching views across Caterham and the surrey countryside beyond. Set partly in a converted Edwardian building and a completely new block the development brings together classical charm and contemporary design. The apartments also benefit from private parking, High spec German Kitchens with quartz worksurfaces, porcelain tiled floors and high quality porcelain sanitaryware. High specification German Schuller kitchens, Bosch appliances, Premier Quartz worktops, porcelain tiled floors. BATHROOM & CLOAKROOMS: High quality white porcelain sanitary ware, chrome towel rails, porcelain wall and floor tiling, shaver points, underfloor heating. 10 year BuildZone building warranty, mains smoke alarms with battery back-up, 5 lever Mortice door and window locks. Gas central heating throughout, thermostatically controlled, Solar thermal assisted Megaflo hot water delivery systems, underfloor heating to bathrooms, highly efficient double glazed windows and doors. A selection of Dulux paint finishes to walls, fitted wardrobes, 100% Wool carpets to bedrooms,stairs and upper hallways, hardwood engineered flooring to entrance and living areas. Solid cored white ‘Palermo’ style internal fire rated doors, designer brushed steel door furniture, moulded and routed skirtings with architraves to match. Low energy down lights throughout, dimmers to living areas and bedrooms, external lighting to front, rear and parking area, TV & telephone points to lounge and bedrooms.